MacRumors doesn’t believe this story. Instead, they believe “Phosphorus” is a barometric pressure sensor. The chip pictured has the part number BMP282. I’m 99.99% sure this is a Bosch barometric pressure sensor, similar to this part BMP280. Variants of one part often have slightly different part numbers- if Apple got Bosch to customize the chip for them with different packaging, or a slightly different measurement range, that would explain the difference in part number. In 2013, Apple introduced the M7 coprocessor alongside the A7 chip. 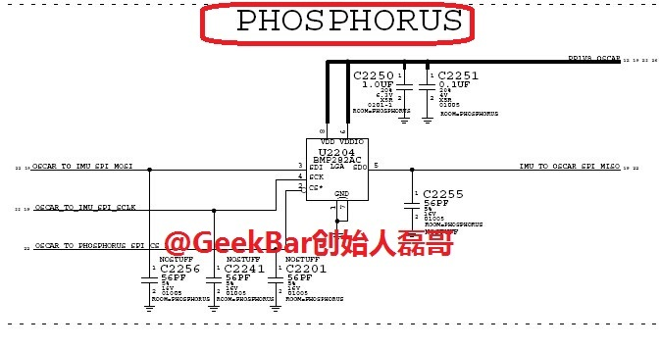 It shouldn’t come as much of a surprise then to know that Cupertino is working on an updated coprocessor codenamed “Phosphorus,” according to Chinese media (via G for Games). Little is known about the “M8,” though many speculate that it will help collect and interpret health-related data for the “iPhone 6” and the company’s new Health app. The M8 is likely to launch with the long-rumored “A8” processor. The M7 coprocessor was designed to measure motion data from an iOS device’s accelerometer, gyroscope, and compass. It’s primarily used for fitness apps that track user activity. 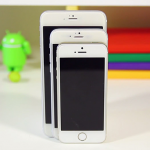 In July, it was reported that Apple’s next chip could push speeds to heights never before seen on iOS devices. In fact, the chip likely to be found on the iPhone 6 and “iPad Air 2” could boast frequencies of 2.0 GHz or more per core. The iPhone 5s features a 1.3 Ghz A7 SoC processor. 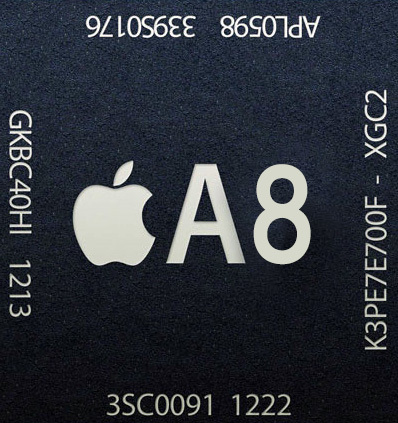 The A8 is expected to continue to adopt a 64-bit dual-core architecture found on the A7 processor and continue to be built using the 20-nanometer process. The iPhone 6 is expected to make its debut on Tuesday, Sept. 9. 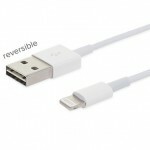 See also: New report now claims reversible USB cable won’t launch with Apple’s ‘iPhone 6,’ and Could Apple introduce a new USB power adapter with its bigger ‘iPhone 6′ handset?